Old childhood and adolescent memories of a far away place have come to my conscientiousness thanks to having to sift through clutter. There’s an argument for clutter – a source of writer’s inspiration. I picked up a booklet called “Korea Reiseführer” at Korea Restaurant in Düsseldorf the last time I was there. It’s a compact tourist guide full of advertisements, maps, photos, and itineraries. I initially picked up the guide because I thought my Au Pair who loves Korea might also want to look at it. I decided to take a look before handing it over to her though, and it had become buried in a pile on my desk. I was stuck for a picture book idea for November’s Picture Book Idea Month or PiBoIdMo, so I decided to flip through the booklet for a trigger. 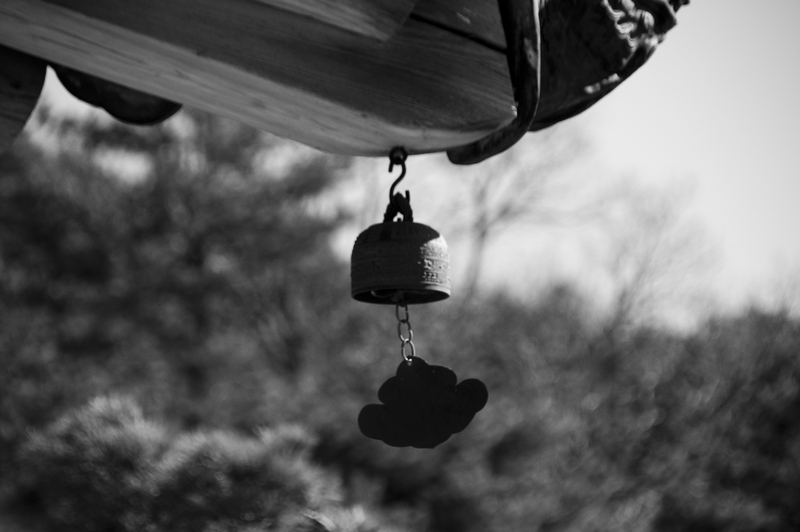 I flipped to a page describing a stay in a Buddhist temple which involved Zen meditation. Initially I thought that this might appeal to my husband given his own meditation interests. “Creative Commons Front entrance – Haeinsa” by bebouchard is licensed under CC BY-NC 2.0. But as I was looking at the schedule and the pictures, an old childhood memory came to mind. It was of my visits to a particular Buddhist temple in Korea, which was quite remote. We had to travel from Seoul to Daegu (대구), Korea’s third largest city, which is where my mother is from. 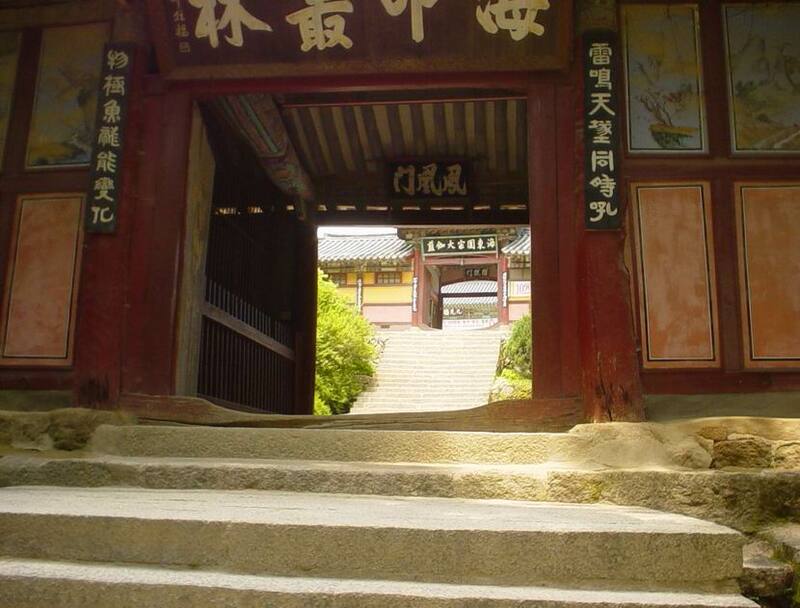 We then had to travel, usually by car, to Haeinsa (해인사), a Buddhist temple town in the Gaya Mountains. The trek was obligatory since this was where my mother’s father was from. We lost him long, long ago, but all of the remaining relatives from that side of the family were still there. I haven’t been to Haeinsa in twenty years maybe. I am sure that loads has changed just as all of South Korea has developed – in good and bad ways – at warp speed. But this was a place full of rich, poignant memories carefully hidden and nestled in all of its mountain remoteness and spirituality, a place where I had experienced, seen, and heard things for the first time that I have never experienced again in my life. Amongst these moments, I got to attend a ceremony honoring my grandfather called jaesa (재사). It’s a custom that my thoroughly westernised parents don’t normally do, but my mother’s uncles conducted this while we were visiting some time in the ’80s. It’s been so long that I can’t quite distinguish all of the details of what actually took place from what I’ve read in my effort to learn more jaesa. I do remember that we had to hike through rice paddies and up the side of a mountain. Amongst other food items, they had soju (소주) for my grandfather which they poured on the ground at the end. They joked that my grandfather actually didn’t really like soju. During this time, I saw a man dressed in all grey with a shaved head. It was the first monk I had ever seen. About five years later in the ’90s, the family friend who had driven me to Haeinsa was a good photographer. With my manual camera he took a few pictures which I framed and hung in my college dorm room. One was of a yellow water lily on its pad and the other was a small bell hung from the pointy bottom corner of the roof of a Buddhist temple. Since I only went to Korea during the summer, it was rainy season. The humidity created layers of fog in the mountains. Those layers added some more heritage-seeking mystique both in my mind as well as in the photos. A perfect image of the bell I was describing. All it needs is some mountain mist. “Creative Commons Haeinsa Buddhist Temple” by Revelateuer Studio is licensed under CC BY-SA 2.0. There are many more impressions from my few trips to this special, almost secret place. It’s at times emotional to recall them. I don’t know much about my grandfather and his family mostly because of my mother and grandmother’s reluctance to talk about their past life in Korea, but it is through my visits to Haeinsa that I have learned most about them. A trip to Korea has been on my wish list for the last few months. It was provoked by a refreshing, spontaneous catch-up visit from a Korean American friend from college who told me about taking her four kids to Korea. This coming summer does not seem possible, but I am hoping that I will be able to go with my three children, husband, and my parents the summer thereafter. All of my grandparents have now passed away, but it’s a long time coming that I pay my respects and finally introduce my children to where the diasporic journey all started. Tags: Buddhist temple, children's book writing, clutter, Daegu, diasporic parenting, Haeinsa, jaesa, Jane, Korea, Korean customs, PiBoIdMo, picture book writing, travel, writing. Bookmark the permalink. It would be lovely for your children to have similar memories for when they are older. Flights to Korea seem to be a little pricey these days – I keep trying to go back to visit friends. It just never seems to be justifiable. Tell me when the prices drop!